More than 11,700 plaintiffs have filed talcum baby powder lawsuits against Johnson & Johnson (J&J), alleging the company knowingly sold asbestos-containing baby powder without informing the public and federal regulators. These lawsuits allege that J&J intentionally hid information about the dangers of its baby powder, contributing to the development of ovarian cancer for some baby powder users. J&J has shared all information with regulators – It’s unclear how J&J is backing up this claim, despite it being a crucial element of the company’s defense. J&J’s forceful fight against the allegations it faces over its talcum (talc) powder has even led the company to appeal with cases it has lost. Have You or a Loved One Been Diagnosed with Ovarian Cancer after Using J&J’s Talc Powder? As recently as 2000, asbestos was detected in J&J’s baby powder – While third-party lab tests dating back to the early 1970s have reported finding asbestos particles in Johnson & Johnson’s baby powder, more recent detections were made by scientists for J&J and their suppliers. This is according to a Reuters’ investigation, which also revealed that J&J only tests a small fraction of its talcum powder. Court documents have indicated that J&J WAS aware of the presence of asbestos in its baby powder – In fact, these documents show that, for decades, a number of J&J staff – from scientists and doctors to mine managers and executives – were not only aware of this problem, but that they were also worried about how to handle the company’s failure to disclose the problem to the FDA. Crucially, Johnson & Johnson suffered a big setback in its fight to reverse some of the groundbreaking verdicts awarded to plaintiffs in this ongoing litigation. In December 2018, J&J lost a motion seeking to reverse the $4.69 billion verdict a St. Louis jury awarded to 22 plaintiffs in July 2018. While this may be a good sign for the thousands of plaintiffs with cases moving through the courts, it’s not too late for those who have been diagnosed with ovarian cancer after using J&J’s talc powder to seek justice. To find out more about a potential Johnson & Johnson baby powder lawsuit, simply contact the Amaro Law Firm for a zero-cost, zero-obligation case evaluation. If you or a loved one has been diagnosed with ovarian cancer and has a history of using talcum powder, it’s time to contact the experienced attorneys at the Amaro Law Firm. 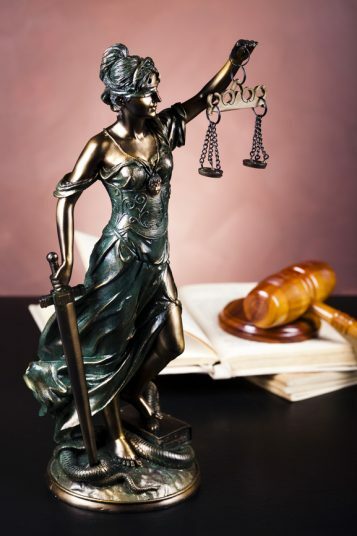 We are ready to discuss your potential case and aggressively advocate your rights moving forward. Call (877) 892-2797 or email us for your FREE, confidential, no obligation consultation. At the Amaro Law Firm, we are proud to help those who have been harmed by dangerous products seek the justice and financial recoveries they deserve. We know that compensation can never change a cancer diagnosis. We have also seen how the recoveries from Johnson & Johnsons baby powder lawsuits can be pivotal to healing and restoring lives. The Amaro Law Firm’s record of extraordinary representation and success in dangerous product cases has earned us glowing testimonials from former clients and 5-star ratings on Google and Facebook.